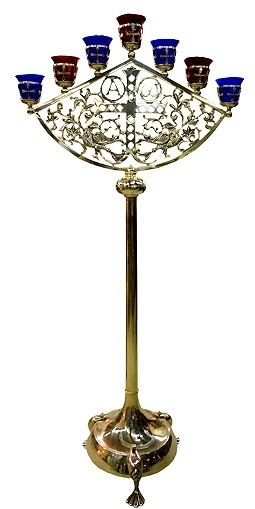 Here you can choose seven-branch altar stand (candelabrum). Light has always been considered as the dawn of new beginnings. Light is the remover of darkness and the act of lighting candles in the church is synonymous as being one with Jesus Christ. For centuries, lighting candles within the sanctuary of a church has been celebrated as a strong tradition. 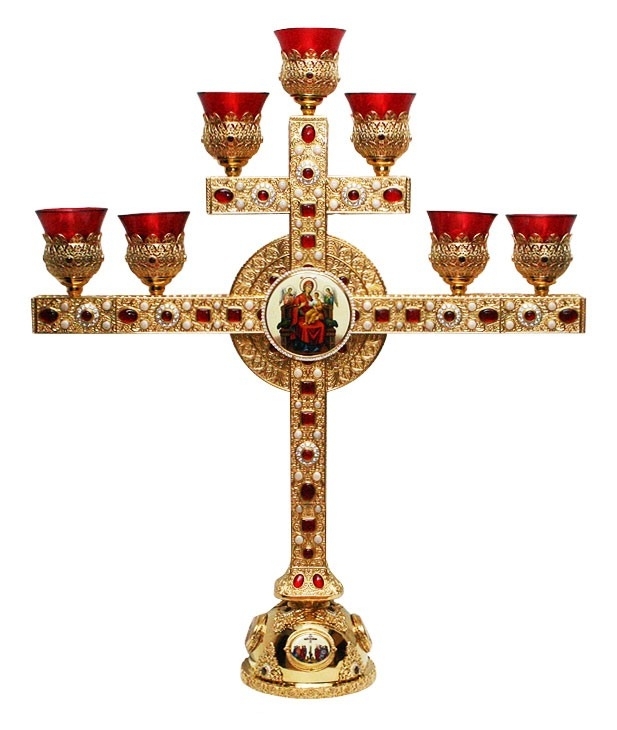 The precise design of the candelabrum has been passed down by Christ himself and painstakingly followed throughout the times. 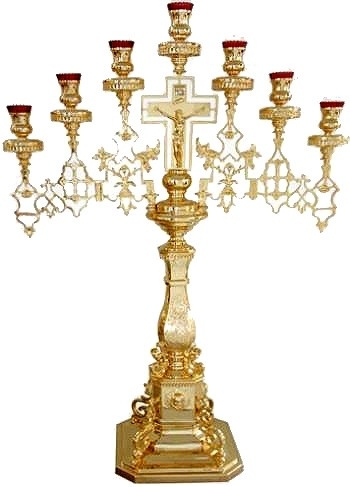 It has been laid down in the scriptures that pure gold will be beaten down to form the six elliptical branches of the seven branched candle stand and candlestick holder. 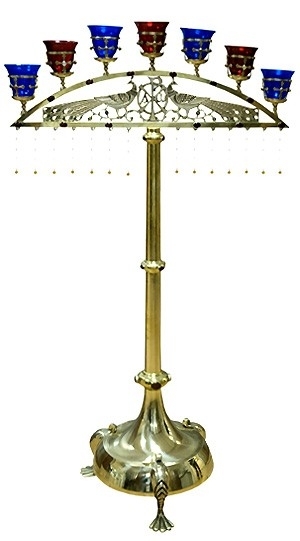 Three branches will come out from either side of the stand while one will be upright from the center of it. 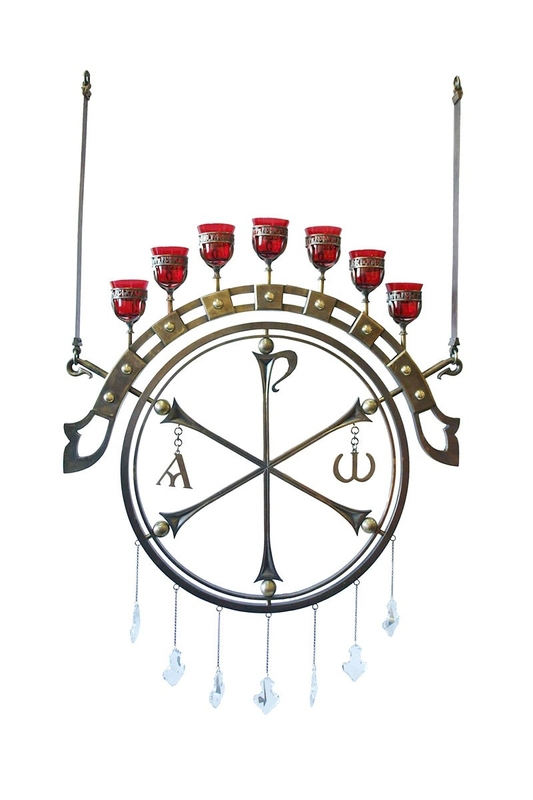 According to scriptures, the branches will end with bowls like those of the almond flowers and the light their wicks illuminate will shine outward so followers may worship and offer prayers. 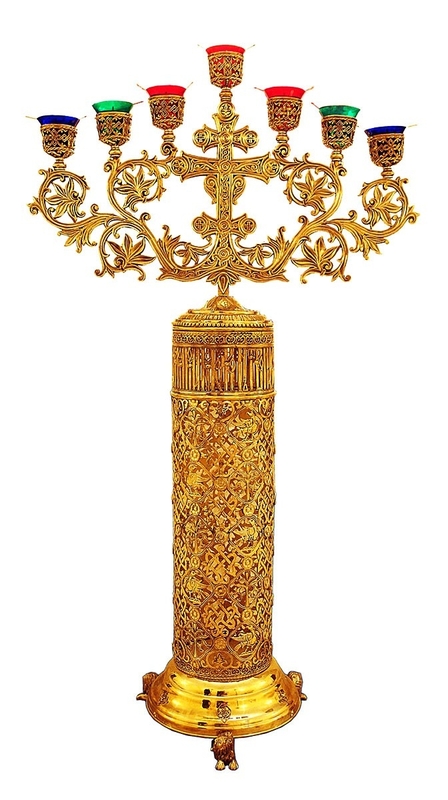 With such precise and detailed instructions, this important part of the altar has since been afforded a great place in the traditional aspects. 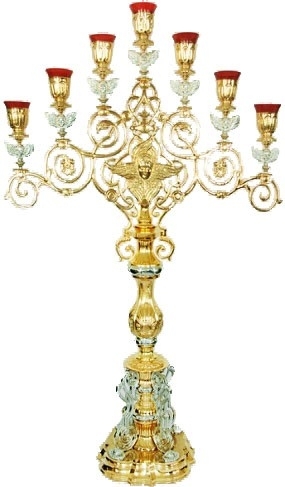 The candelabrum is placed on the Holy table in the altar. 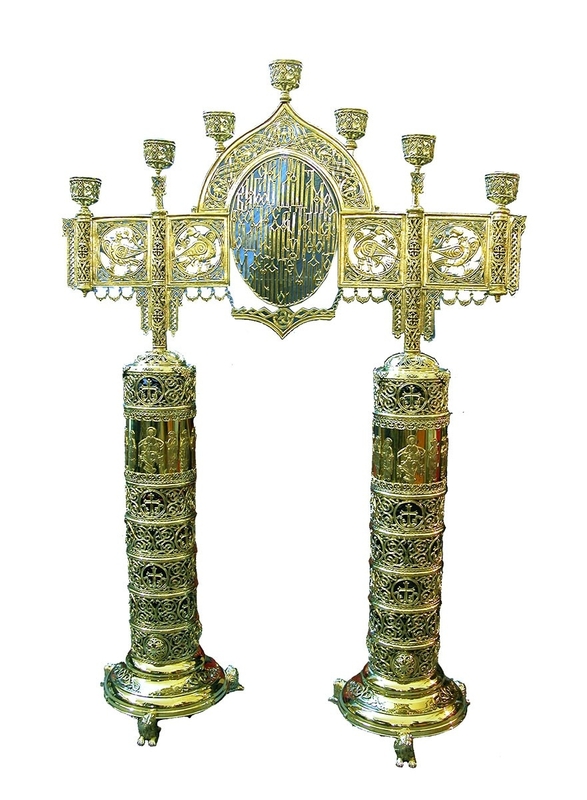 These symbols have been used since ages as necessary additions during prayer and while worshipping and extolling the virtues of the ancient teachings. 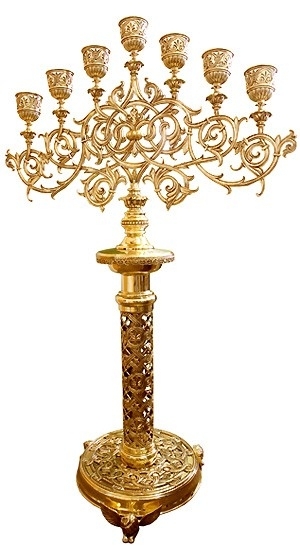 At Istok Church Supplies, we offer the seven branched candle holder and candelabra in intricately designed patterns with brass casting. 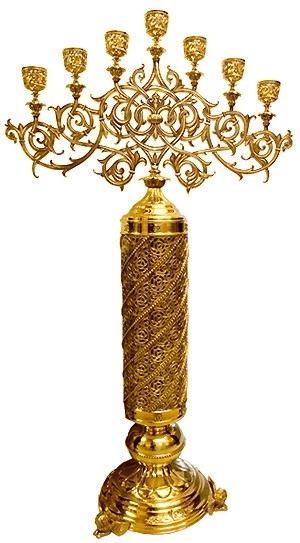 The branches are beautifully crafted and offered with gold plated elegance both in large as well as small sizes. 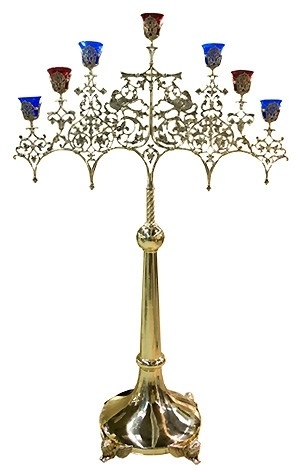 For a more stable feel, customers can choose the two stand candelabrums and candelabra instead of one.